The American Association of Women Emergency Physicians provides a broad-based network of support, guidance, and education in personal and professional leadership skills, especially for women emergency physicians, residents, and medical students. The Academy for Women in Academic Emergency Medicine (AWAEM) was established in 2009 to promote the recruitment, retention, advancement and leadership of women in academic emergency medicine. The Group on Women in Medicine and Science (GWIMS) advances the full and successful participation and inclusion of women within academic medicine by addressing gender equity, recruitment and retention, awards and recognition, and career advancement. This popular seminar provides women at the assistant professor or instructor level with the knowledge and skills required to navigate the academic medicine enterprise as well as continue on the path to leadership. This professional development seminar focuses on women physicians and scientists holding medical school appointments at the associate professor level, and holding leadership positions within their discipline, department or institution. The Hedwig van Ameringen Executive Leadership in Academic Medicine® (ELAM®) program is dedicated to developing the professional and personal skills required to lead and manage in today's complex health care environment, with special attention to the unique challenges facing women in leadership positions. ALiEM aims to disrupt how medical providers and trainees can gain public access to high-quality, educational content while also engaging in a dialogue about best-practices in Emergency Medicine and medical education. 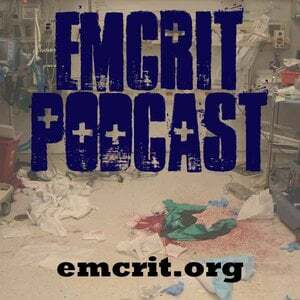 EMCrit is devoted to bring the best evidence-based care from the fields of critical care, resuscitation, and trauma and translate it for bedside use in the Emergency Department (ED). LITFL is a medical blog and website dedicated to providing free online emergency medicine and critical care insights and education for everyone, everywhere...anytime. Our Team, headed by Mike Cadogan & Chris Nickson, consists (mostly) of emergency physicians and intensivists based in Australia and New Zealand. We invite you to use our content in anyway to help others learn, all we ask is that you spread the word about the FOAM (Free Open Access Meducation) revolution...and get #FOAMed !